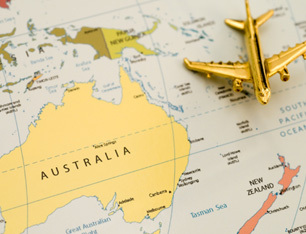 Home » Australia » What are the best tourist attractions to visit Australia? This entry was posted in Australia and tagged Australia tourist attractions visit Australia visit in Australia on June 26, 2014 by Blog Author. Feeling bored! Want to make a trip during your holiday vacation? Pondering about the right place to visit? Why don’t you consider Australia? Australia is one of the most interesting places to visit where one can find many spectacular and unique tourist spots. Most people are even motivated towards Australia migration as it offers broad range of life style options. If you are planning to visit Australia then the first question that buzzes in your mind is about the best attractions of Australia. We listed some of the best tourist destinations to visit Australia are given below. Sydney – is the largest and most prominent city in Australia with most beautiful tourist destinations such as opera house, Hunter Valley Wineries, Jenolan Caves, Harbor Highlights Cruises, Darling Harbor with marine aquarium and many others visit Australia to see this beautiful place. Perth – is the city of wild life, aquatic fun and adventures to Aboriginal dance and culture. The Perth Mint, Lake Monger, Perth Zoo, Stirling Gardens, Western Australian Museum, Cultural Centre and the Art Gallery of Western Australia are some of the interesting places to visit Australia in Perth. Tasmania – is the exclusive place for holiday. It is known for its wild life, amazing beaches and lagoons. Fraser Island – is the largest island in the world and is very famous holiday destination for people to visit Australia across the world. Here, one can find rare species of wild dogs, variety of fishes and Dingos. Kakadu National Park – is one of the world’s Heritage site to visit Australia and is a land for around 500 Aborigines. Uluru – is the world’s largest monolith rock and stood one among the natural wonders of the world. Kangaroo Island – is the place for kangaroos, wallabies, koalas, dolphins, penguins, whales, sea lions, goannas etc.to see all this visit Australia. Gold Coast- is the land of attractive beaches, amazing waterfalls, Theme Parks and National Parks. Visit Australia, This is a perfect place for beach lovers. Whitsundays – Visit Australia to see the beauty of Whitsundays is one of the best entry points to the Great Barrier Reef and island resorts. This is the perfect place to make a trip in sailboat. Magnetic Island – is the best place for wild life, Fantastic Beaches and trecks to walk. Here, one can find different colonies of Kangaroos and Koalas once visit Australia. To apply Australia tourist visa, then fill out MoreVisas enquiry form, and to follow our updates like us @ MoreVisas Facebook Page.